There’s nothing quite like shopping in New York. If you’ve ever done it, you’ll know what I mean; if not, you’re in for a serious treat. From world-famous icons to tiny, nigh-on impossible to find independent stores, the city has it all – it really does feel like a limitless playground for shopaholics. If you’re considering going on a spending spree in the Big Apple soon – whether it’s a long weekend with the girls or a family affair – make sure you read my guide to the city’s stores before you jet off. As a quick tip, I think if you’re planning on splashing out in the shops you may as well go all-out on accommodation too, and you can find some great places to stay in the heart of the action through companies like Hayes & Jarvis. New York is home to some seriously famous stores, some of which can pretty much be considered tourist attractions in their own right. So, I think it makes sense to look at these first – I’ll then give you some hot tips on where to find those lesser-known gems. 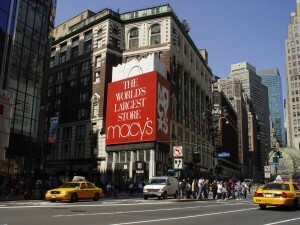 First on my list is Macy’s, which you’ll find on 34th Street in Midtown West. This absolutely colossal store has around a million sq ft of space and spans a huge nine floors, so be prepared to spend quite a long time here! To be honest, you could probably devote a whole day to it, since it sells so much. The magic of Macy’s – aside from its size – lies in the fact that its shelves stock just about everything you could imagine, including electronics, clothes, cosmetics and shoes. 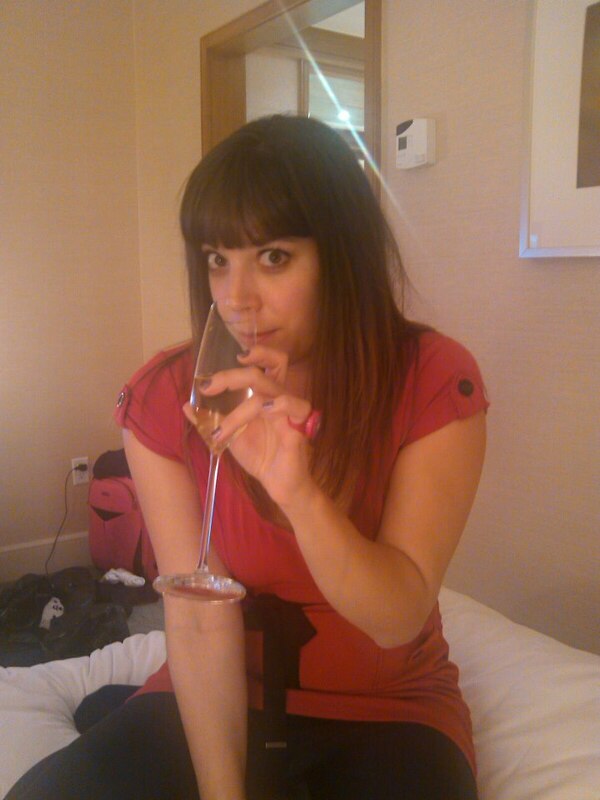 The next heavyweight on my list is Bloomingdale’s on the Upper East Side. Having stood here since 1886, this shop is a real city landmark, and it’s a must-visit for anyone wanting to snap up the latest fashions. Come here and you’ll find both trendy and high-end clothes alike, as well as accessories like handbags. It’s also a pretty decent place for gifts, on the off-chance you’re shopping for someone else – but chances are you’ll end up getting a pile of treats for yourself anyway! Also on the Upper East Side is the flagship store of Barneys New York. Like the above, this is a department store – but one that’s known for being super-cool, with really carefully selected products. So, it’s the place to go if you fancy buying fashion with an edge. Also, if you’re visiting during a holiday like Christmas, keep your eyes peeled for mind-blowing window displays. New York might be famous for its massive department stores and big-name brands, but that doesn’t mean it’s not home to any quirky shops. Below, you’ll find my two top picks for the Big Apple’s hidden gems – make sure you fit them in to your shopping schedule! 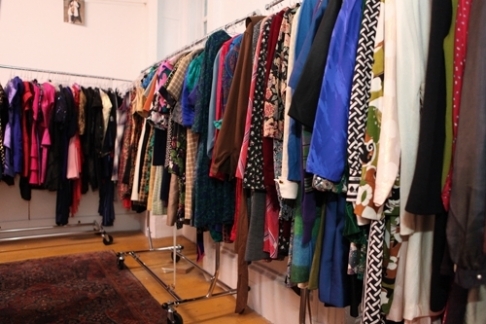 Tucked away on 13 West 17th Street between Fifth and Sixth Avenues, Shareen Vintage is an absolute must-visit for fashionistas. It’s closed on Mondays and Tuesdays and, if you walked past it then, I doubt you’d even know it was there, since the only exterior marking it has is a red dress hung on a fire escape. See that and you’ll know the shop’s open. It sells bohemian-chic clothes (women’s only – sorry guys!) from the 1900s to 1990s. It’s also worth checking out the owner’s own label, Shareen Again, which consists of altered and revamped vintage pieces. Head to 95 Spring Street and you’ll find Kiosk, a great little place that sells an eclectic mix of trinkets from different countries. The owners collect these on their travels before putting them on sale in their store. Usually, a single country will be the overriding theme, and this will change approximately every six months.